“Do you remember when, after a long night’s drinking, you suddenly realised that the person you were talking to was the most interesting in the world? That you had solved truth and justice, and if you just chatted a bit longer you would get onto beauty before the sun rose? Well, when Melvyn Bragg interviewed Francis Bacon, and decided to hold the interview over a few glasses of wine, this moment was captured on television forever. Go and watch it now, if you’re not familiar. 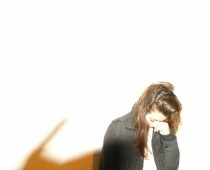 All human life is there. But, why should you watch it in opera form? By expanding it into music, onto stage, Stephen Crowe adds an extra dimension to what might otherwise be pure comedy, making something clever, thought-provoking and still really funny. This staging is particularly good, showing us paintings in addition to the music and text in ways where all three complement each other while remaining balanced. The direction from Gareth Mattey tends towards poking easy fun at Bacon, but by the end Melvyn and Francis unite in absurdity, laughing at themselves and each other. One small flaw is the over-physical acting from Gary Rushton as Francis Bacon. The transcript of the interview from which he is singing speaks for itself, and some of the additional clowning does not quite work. When Daniel Lewis‘ Melvyn wrote a note to the audience it was unreadable from even halfway back. But the slight roughness around the edges only helps to evoke the ‘ordered chaos’ to which Francis Bacon says all his paintings aspire. As I filed out of the capacious ADC theatre with only ten-odd other audience members, I heard someone say ‘Why is no-one seeing it? We need to tell people to see it!’ Precisely. 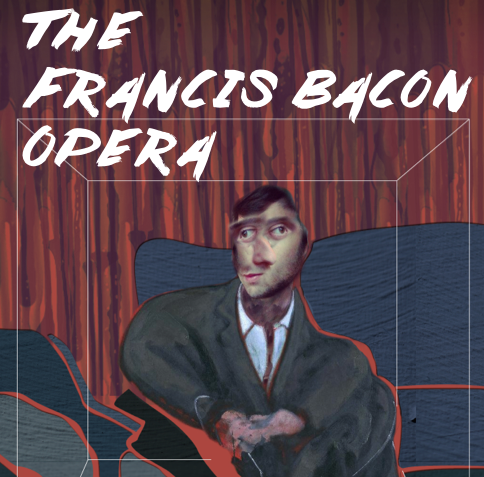 The Francis Bacon Opera is an unmissable experience. It’ll make you laugh, educate you in painting and make you think as well, so long as you don’t take it too seriously. And at only 45 minutes, it’s the perfect introduction to experimental opera. See original TCS article here. Read Tab review here, and Percussionista review here.